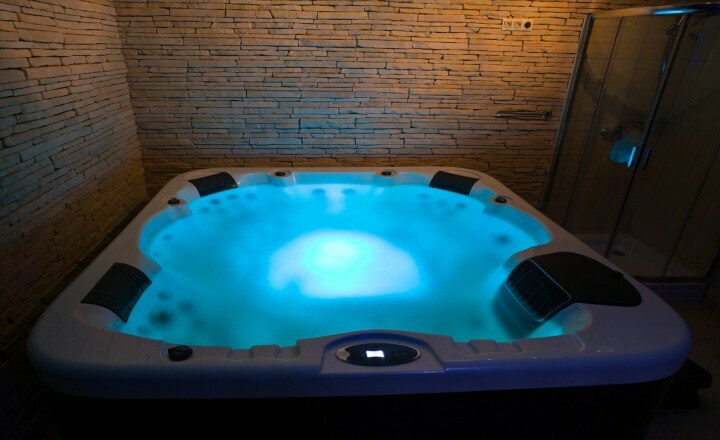 Relax room with a whirlpool bath for 6 people (1 person can lie down, 5 can sit) with 99 massage points, light therapy. 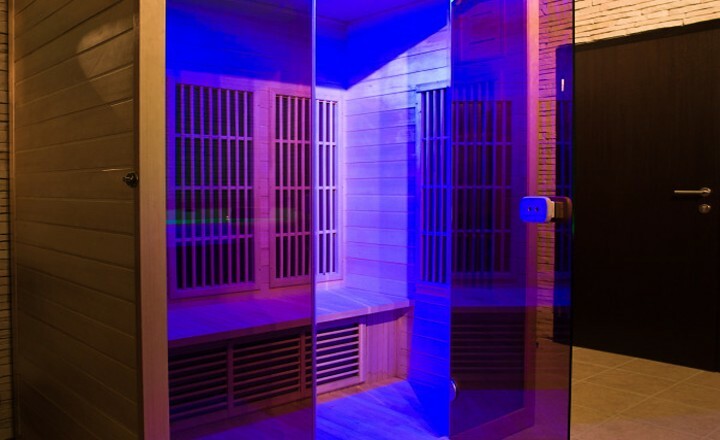 3-person infrared sauna with light therapy and a sound system will also help you to relax your body and mind. Forget about your daily worries for a moment and enjoy your undisturbed stay in our relax area while being served chilled champagne in hot water of the whirlpool bath. To add to your comfort (and to your prior order), we can also provide you with a professional massage in the comfort of your own room performed by our physiotherapist with a portable treatment equipment.